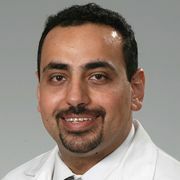 Maged Guirguis, MD, serves as the chief system lead of the pain management department at Ochsner health system. 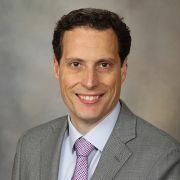 He is an Associate Professor for The University of Queensland Ochsner Clinical School where he also serves as the pain/palliative medicine rotation director as well as serving as a Clinical Assistant Professor in Louisiana State University School of Medicine. After completing a residency in internal medicine in his home country. He joined the Cleveland Clinic Foundation for a research fellowship in pain medicine after which he completed his residency in anesthesiology and clinical fellowship in pain management. 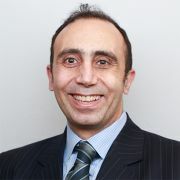 Dr. Guirguis is triple board certified in anesthesiology, pain medicine and headache management Dr. Guirguis published numerous papers and book chapters as well as presented various studies and peer reviewed abstracts on pain medicine at national and international meetings. He serves as a faculty and meeting chairman for the American society of regional anesthesia and pain medicine. Also serves as faculty and member of the pain educational committee for the American society of anesthesiology and in both the research and education committees for the international neuromodulation and North American neuromodulation society. He has a special interest in neuromodulation, headaches management and ultrasound guided interventions for acute and chronic pain. 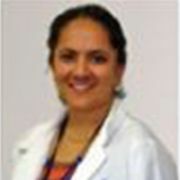 Dr. Padma Gulur is an anesthesiologist specializing in interventional pain medicine. 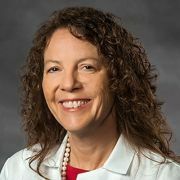 Board certified in both Anesthesiology and Pain Medicine, she is currently Professor and Vice Chair for Operations and Performance in the Department of Anesthesiology at Duke University. In addition to direct clinical care of patients with acute, chronic, and cancer pain, she is active in teaching, research, and inpatient and outpatient operations management. Her national organization work includes the CPT Advisory Committee of the AMA, the FDA Advisory Committee on Pharmacy Compounding, and the committees on Economics and Pain Medicine of the American Society of Anesthesiologists. 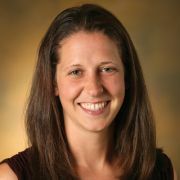 Mallory Hacker is research assistant professor of neurology at Vanderbilt University Medical Center. She has a PhD in Cell & Developmental Biology from Vanderbilt University. Dr. Hacker received postdoctoral training in neurology clinical research at Vanderbilt University Medical Center and was a visiting assistant professor at the Bloomberg School of Public Health at Johns Hopkins University in 2016. Dr. Hacker attained approval from the FDA for Vanderbilt to lead a multicenter, pivotal clinical trial testing deep brain stimulation in early stage Parkinson’s disease (IDE#G050016). She has received funding from the Michael J. Fox Foundation for Parkinson’s Research, the American Parkinson Disease Association, and the Parkinson’s Disease Foundation to support planning efforts for the pivotal trial. She is currently leading a 10-year follow-up study patients who completed the pilot clinical trial of deep brain stimulation in early stage Parkinson’s disease, and that effort is jointly funded by the National Institute of Neurological Disorders and Stroke and the American Parkinson Disease Association. Dr. Hampstead is a board-certified Clinical Neuropsychologist who earned his PhD in Clinical Psychology (Neuropsychology emphasis) from Drexel University. He is an Associate Professor in Psychiatry at the University of Michigan, Staff Neuropsychologist in the VA Ann Arbor Healthcare System, and Clinical Core Leader of the NIA funded Michigan Alzheimer’s Disease Core Center. Dr. Hampstead’s research focuses on non-pharmacologic approaches to maximize cognitive functioning in older adults. Specifically, he uses techniques like cognitive rehabilitation and non-invasive electrical brain stimulation to enhance learning and memory, typically within the context of a randomized controlled trial format. 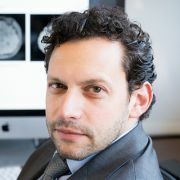 Dr. Hampstead integrates these techniques with functional and structural neuroimaging in order to predict treatment response, identify the neuroplastic changes following treatment, and plan/develop new interventions. Funding for this work has come from, or is currently provided by, the Department of Veterans Affairs, National Institute on Aging, National Institute of Mental Health, and the Michigan Alzheimer’s Disease Center. Board certified anesthesiologist and interventional pain medicine physician. Completed pain medicine fellowship in June 2015. I am an Assistant Professor of Neurology at Albany Medical Center. I have been in practice here since 2011. We have a very active movement disorders clinic, including an active surgical program for our Parkinson's patients, tremor, and dystonia cases. We are active in clinical trials regarding deep brain stimulatoin as well. We are active in other clinical trials for Huntington's disease, Parkinson's disease, dystonia, and tics. I am also the co-director of our Huntington's clinic as we serve as a Center of Excellence. I am fellowship trained, completing my fellowship at Columbia University from 2009 to 2011. Dr. Salim Hayek has 15 years of experience and is Chief of the Division of Pain Medicine at University Hospitals of Cleveland and Professor in the Department of Anesthesiology at Case Western Reserve University. He obtained a BSc degree in Biology with Distinction at the American University of Beirut in 1987 and MD degree in 1991. Following a residency in Anesthesiology training at University Hospitals, he completed a PhD in Cellular Physiology at Case Western Reserve University in 2000 and subsequently obtained fellowship training in Pain Medicine at Cleveland Clinic. He is well published and serves on the editorial board for most pain journals. Dr. Hayek has had a number of service accomplishments at the local and national levels, including the Board of Directors, North American Neuromodulation Society, and the Council of Pain Physician Societies. Dr. Hoelzer is a graduate of the Mayo Clinic's Pain Medicine Fellowship and is board certified in Anesthesiology and Pain Medicine. 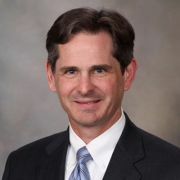 Upon completion of his fellowship, Dr. Hoelzer joined the faculty at the Mayo Clinic and served as the Pain Medicine Fellowship Director and the Director of Neuromodulation. In addition, he is the immediate past president the Association of Pain Program Directors. Recently, Dr. Hoelzer relocated to Utah to become a partner in Southwest Spine and Pain. Dr. Holloway has a long history in the field of movement disorders and DBS surgery. She has been an implanting surgeon since 1997. She served as the principal investigator for the Richmond site in the CSP #468 Study: A comparison of Best Medical Therapy to Deep Brain Stimulation of Subthalamic Nucleus and Globus Pallidus for the Treatment of Parkinson’s Disease and for CSP #468 Study: A comparison of Best Medical Therapy to Deep Brain Stimulation of Subthalamic Nucleus and Globus Pallidus for the Treatment of Parkinson’s Disease. She served as a co-investigator for the Broaden Study evaluating Cg 25 Deep Brain Stimulation for Depression. 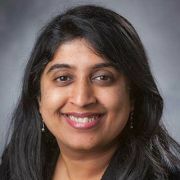 Additionally she has been an innovator in the surgical technique of deep brain stimulation, serving as a key member of the team that developed the Nexframe method of frameless stereotaxy for DBS placement. She continues to innovate in this area with further refinements in this technique using intraoperative imaging. She has been involved in exploring sub-regions of efficacy in the zona incerta and subthalamic region and the effect of trajectory on outcome. She is working in conjunction with collaborators at Vanderbilt on the creation of a population based atlas to consolidate patient data in a transformed image space. She has performed over 500 DBS surgeries and is currently implanting ~6 patients per month mostly for Parkinson’s disease. In summary, Dr. Holloway is uniquely qualified to serve as the primary investigator of this project. She is very excited about investigating methods of treating the devastating dementia which negates the motoric improvement of pallidal DBS. Dr. W. Michael Hooten graduated from Saint Louis University School of Medicine in 1992. He subsequently pursued residency training in psychiatry and internal medicine at Johns Hopkins School of Medicine, Yale University School of Medicine, and Mayo Graduate School of Medicine in Rochester, MN. During 2 years of community-based practice, he developed an interest in pain medicine and pursued further residency training in anesthesiology at Washington University School of Medicine in St. Louis, Missouri. Dr. Hooten completed a pain medicine fellowship at Mayo Graduate School of Medicine and is currently board certified in anesthesiology, psychiatry, and internal medicine. 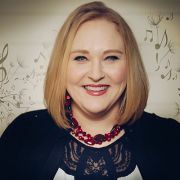 Dr. Julie H.Y. 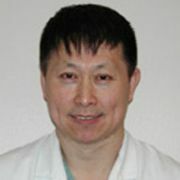 Huang is a Harvard and Hopkins-trained Board-Certified Anesthesiologist specializing in Interventional Pain Management. She has clinical and research interests in cancer pain, targeted drug development, neuromodulation, and regenerative medicine. Dr. Huang’s passion for cancer pain arose from a combination of her clinical expertise and several years of translational research during college and through the Medical Scientist M.D, Ph.D. Training Program at the David Geffen School of Medicine at UCLA. She has published several studies regarding cancer genomics and targeted kinase drug discovery for variety of cancers with collaborations at Stanford, MIT, and UCSF. She also obtained her MBA with honors through the medical leadership program at UCLA Anderson School of Management, where she discovered her entrepreneurial spirit and has since received small business grant funding and numerous venture competition awards. During her anesthesiology residency at Johns Hopkins, Dr. Huang spent time as a medical officer at the FDA in drug, device, and biologics regulatory review, with the aim to understand how to bring healthcare advances to the patient’s bedside. 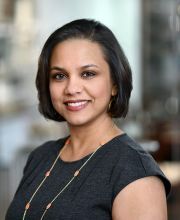 She completed her pain medicine fellowship at Harvard Medical School - Brigham and Women’s Hospital, where she worked alongside oncology, palliative care, surgical and radiation oncology colleagues at Dana Farber Cancer Institute in treating cancer pain. She has a special interest in developing a comprehensive cancer pain program in collaboration with her oncology, surgical oncology, radiation oncology, and palliative care colleagues. Integral to her practice is the pursuit of cutting edge pain treatments, including minimally-invasive fluoroscopic and ultrasound-guided interventions, spinal cord and peripheral nerve stimulation, and intrathecal therapies. In her field of pain medicine, she has been heavily involved in clinical trials and basic science research for drug discovery and technology development. 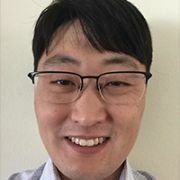 Dr. Huang has published numerous articles in nationally recognized journals and has also been invited to present at numerous national and international conferences. 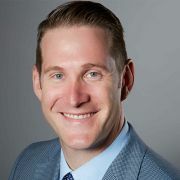 Corey W. Hunter, MD FIPP, is the Executive Director and co-founder of the Ainsworth Institute of Pain Management, a private group practice in New York City. Dr. Hunter graduated from Pain Fellowship at Cornell in 2011. Dr. Hunter is considered a key opinion leader in Regenerative Medicine and Neuromodulation—particularly DRG stimulation. Dr. Hunter specializes in the treatment of CRPS, pelvic pain, post-amputee pain, and peripheral neuropathy. 26 years of neuromodulation practice; Editor-In-Chief of Regional Anesthesia and Pain Medicine; Previous NANS Board Member. Completed neurosurgery training in 2017 at WVU and Stereotactic and functional neurosurgery fellowship in Albany the following year. Currently working in Allentown, PA as a functional neurosurgeon at St.Luke's Hospital. 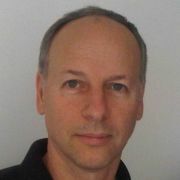 Professor (on leave) of Computer Science and Neuroscience at Tel Aviv University, Israel. An international scholar in neural computation, machine learning, and pattern recognition. He develops signal processing methods for BCI, most notably for extensive information extraction from a single EEG channel, with a number of brain assessment and monitoring applications. Line G.Jacques, MD MSc FRCS(C), Director of Peripheral Nerve Disorders and Pain Surgery Professor of Neurosurgery, Dept. of Neurological SurgeryAssociate Program Director Residency Program Neurosurgery, Vice Chair, Department of Neurological Surgery. Education: 1982-1997;	BSc from Laval; MSc, MD, and Neurosurgery from the University of Montreal Peripheral Nerve; Fellowship from Louisiana State University. Dr. Jacques had a very early interest in Spinal Cord Stimulation while working with Dr. Martinez at Notre Dame Hospital. Dr. Martinez was a pioneer in Neuromodulation, Dr. Jacques and Dr. Martinez explored the use of Spinal Cord Stimulation for Refractory Angina patients in the early 90’s. Dr. Jacques has worked on several international multi-center studies, one of which was a RCT comparing Spinal Cord Stimulation vs. CMM in FBSS patients. She most recently worked with two other international centers, in the development of a logarithmic approach to programming in complex back pain patients using surgically implanted multi-column spinal cord leads. Dr. Jacques was recruited by the INESSS in 2012 to review the current evidence for spinal cord stimulation and implantable drug delivery systems; so that new guidelines for patient access could be developed for the province of Quebec (released June 2013). Dr. Jacques is a frequent invited professor in peripheral nerve surgery, and is frequently requested to lecture and teach cadaver labs around the world in this sub-specialty. She has also been recognized as key opinion leader in neuromodulation and has been instrumental in proctoring other neurosurgeons throughout Canada in the use of occipital nerve stimulation for the treatment of refractory migraine headaches, and SCS for the treatment of refractory angina. Dr. Jameson received her medical degree from Michigan State University. Upon graduation, she went on to complete her internship at David Grant USAF Medical Center at Travis Air Force Base in California. She then spent four years as a United States Air Force Flight Surgeon. Dr. Jameson completed her residency in Anesthesia at the University of Iowa College of Medicine in Iowa City. She then furthered her training by graduating from a Harvard fellowship in Pain Medicine at Beth Israel Deaconess Medical Center in Boston, MA. She is board certified in both anesthesiology and pain management by the American Board of Anesthesiology. This is the only recognized board certification for pain management through the American Board of Medical Specialties. Dr Jameson is also the only physician in North Idaho who is board certified in obesity medicine. She is on numerous international committees in the field of pain management and has published articles and developed national curriculum related to interventional pain management. She has been instrumental in Women in Neuromodulation and has formed the first Women in Neuromodulation preceptorship. Joohi Jimenez-Shahed, MD is a fellowship trained Movement Disorders specialist with 13 years of practice experience in an academic setting. 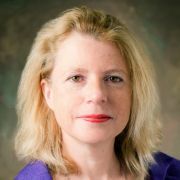 She is the Director of the Deep Brain Stimulation Program at Baylor College of Medicine, the Co-Chair of the Functional Neurosurgical Working Group of the Parkinson Study Group, and the Co-Investigator for a national quality improvement registry for Deep Brain Stimulation in patients with Parkinson's disease. Dr. Neil Jolly is the president and CEO of Louisiana Pain Specialists and medical director of pain management at New Orleans East Hospital. He was born and raised in the New Orleans area before completing his undergraduate degree at the University of Texas at Austin with honors. He attained his medical degree at the University of Texas Medical Branch in Galveston and then completed a transitional year internship at the University of Texas-Southwestern in Austin.Dr. 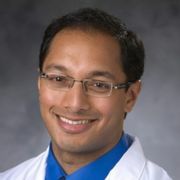 Jolly pursued his anesthesiology residency at the distinguished Yale University School of Medicine. His training concluded with an interventional pain fellowship at the well-respected Wake Forest/Carolinas Pain Institute program in North Carolina.While training across the country with leaders in anesthesiology and pain management, Dr. Jolly acquired advanced skills in neuromodulation/surgical techniques, innovative spinal cord and peripheral nerve interventions/ablation, and both ultrasound-guided and fluoroscopically-guided procedures. At the core of his practice lies the profound ability to educate his patients on a multi-modal approach utilizing both pharmacological and procedural treatments. 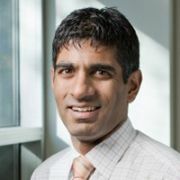 He is an active member in several pain societies, and he continues to be a passionate speaker on a range of topics including safe opioid prescribing and novel neuromodulation therapies. Dr Kalamangalam attended medical school at the Jawaharlal Institute in India and graduate school at Oxford University, UK. He obtained residency training in Glasgow, UK followed by an epilepsy fellowship at Cleveland Clinic. 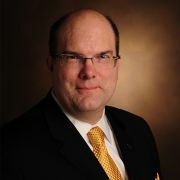 He has been in academic practice for 12 years and is currently division chief of epilepsy at the University of Florida. His clinical interests are in the management of refractory epilepsy. 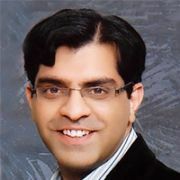 Dr. Kalia specializes in interventional spine, cancer pain rehabilitation and advanced neuromodulation procedures.He earned his medical degree from Mahatma Gandhi Memorial Medical College in Indore; India and Master’s degree in Public Health from Western Kentucky University in Bowling Green, KY. His first residency was in Preventive Medicine & Public Health followed by Physical Medicine & Rehabilitation at University of Rochester. He subsequently completed an ACGME approved Pain Medicine fellowship at University of Rochester and currently leads the Pain Program at Rochester Regional Health System, Rochester, NYHe is Board Certified in Preventive Medicine, Physical Medicine & Rehabilitation and Pain Medicine. He also has an added FIPP (Fellow of Interventional Pain Practice) certification from World Institute of Pain.Dr. 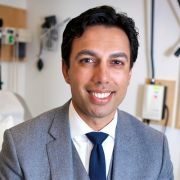 Kalia is a member of numerous national/international professional societies and sits on various sub-committees.He teaches residents and fellows at University of Rochester and is part of the faculty at various courses conducted by national/international professional societies.Dr. Kalia has presented his work on cancer pain and advanced neuromodulation at multiple national and international conferences including publications in peer-reviewed journals in the field of Pain Medicine. Dr. Kamdar is dual trained in both Palliative Care and Interventional Pain Medicine. He serves as the Associate Director of the MGH Division of Palliative Care and the Director of the MGH Cancer Pain Clinic. He is on faculty at Harvard Medical School, and his clinical and research interests center on the management of refractory cancer pain. 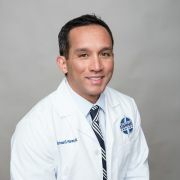 Dr. Leonardo Kapural is a Pain Physician at the Carolinas Pain Institute and Center for Clinical Research. He is also Professor of Anesthesiology, Wake Forest University, School of Medicine. Dr. Kapural’s interests include peripheral nerve stimulation, spinal cord stimulation, discogenic low back pain and visceral abdominal pain. Following his Fellowship in Pain Management at the Cleveland Clinic, he stayed in Cleveland Clinic’s Pain Management Department for 10 years, serving also as Director of Clinical Research and Professor of Anesthesiology at CCLMC of the Case Western University. Dr. Kapural is an active member of number of professional organizations including the American Society of Regional Anesthesia and Pain Medicine, North American and International Neuromodulation Societies and World Institute of Pain. In addition, he is an invited speaker to many national and international meetings. He served as Director-At-Large of American Academy of Pain Medicine, and currently as Director-At-Large of both North American and International Neuromodulation Society. Dr. Kapural’s experience is broad and encompasses teaching and clinical education, extensive research, and innovations in the area of pain treatments which brought him two Innovator Awards. His noteworthy research findings have been published in more than 130 journal articles, more than 140 abstracts, two books, and 30 book chapters. He is listed by his peers in the "Best Doctors in America." 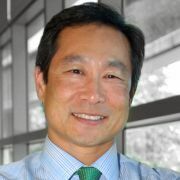 Dr. Philip Kim began his career at Loyola University Stritch School of Medicine. 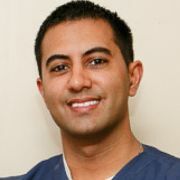 He completed his residency in anesthesiology and fellowship in pain management at the Hospital of the University of Pennsylvania and is board certified in Pain Management and Anesthesiology. His multiple society memberships include the International Association for the Study of Pain, International Spine Injection Society, American Academy of Pain Medicine, and North American Neuromodulation Society. He is highly recognized for his specialty in neuromodulation therapies and intrathecal drug delivery systems. Dr. Kim is passionate about interventional approaches to pain management and increasing the quality of life for his patients. He is committed to offering patients options when they feel they have exhausted many of them. 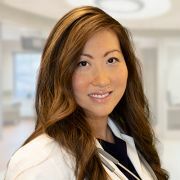 Dr. Kim is the Chief Executive officer and founding member of Center for Interventional Pain &Spine, the Medical Representative for the Controlled Substance Advisory Committee of Delaware and a member of the Delaware Prescription Drug Action Committee. David Kloth MD PC, DBA as Connecticut Pain CareConn Pain Society - Exec, DirPresident NANSAPC-Comm ChairDr. 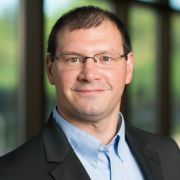 David Kloth is the Medical Director and President of Connecticut Pain Care which he originally founded in 1995. 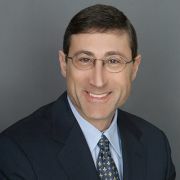 He has been practicing full-time interventional pain management since 1991, first as a member of the Danbury Hospital Anesthesia Department, where he served as director of Acute Pain Management and helped develop its Chronic Pain Service and then as the founder of Connecticut Pain Care (CPC). At one point CPC had offices throughout the state of Connecticut (8 in total) but in 2012 Dr. Kloth went back to solo practice to concentrate his energy on his patients rather than running a large group.Dr. Kloth has just completed a 2 year term as the President of the North American Neuromodulation Society, and will continue serving the Board both as Immediate Past-President and Chair of the Advocacy and Policy Committee. He is an anesthesiologist by background and is Board certified by the ABA in Anesthesiology and with Added qualifications in Pain Management. He was the first physician in the state of Connecticut to be certified by the American Board of Interventional Pain Physicians. 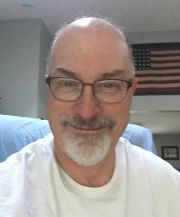 He has been active in many organizations nationally and in Connecticut. He is also a Fellow of Interventional Pain Practice through the World Institute of Pain.He joined the board of the North American Neuromodulation Society in 2007 and continues to have an active role with the society. He served on the board of the American Society of Interventional Pain Physicians (ASIPP) from its inception in 1998 until 2014. After graduating Union College in 1983, he went on to medical school at New York University School of Medicine where he completed his training in 1987. He then completed his formal training in anesthesiology and pain management through the Hospital of the University of Pennsylvania. In 2000, Dr. Kloth helped found the Connecticut Pain Society and was elected their first president, a role he served for almost 10 years, he continues as their Senior Advisor. He previously served on the Carrier Advisory Committee for Medicare in Connecticut and has served on the Medical Advisory Board for Workers Compensation in the State of Connecticut for the last 10 years running. Dr. Kloth has worked for years with the Connecticut Workers Compensation Committee to help them develop coverage guidelines for areas such as pain management treatments, opioid management for the WC patient, and urine testing. He is the co-author of multiple articles and helped co-author a book for patients and non-pain physicians, Pain Wise, in 2011 (available on Amazon, all proceeds go to ASIPP). Dr. Kloth lectures frequently at both national and state conferences and mentors young physicians on leadership roles and development. During his tenor on the NANS Board he has helped start and develop numerous projects including the formal admission of NANS to the AMA, started the Residents and Fellows Section and, Women in Neuromodulation (WIN), oversaw the creation of an updated website for NANS, began a legislative fellowship program, and connected NANS with multiple other societies through the Multi-Society Physician Workgroup (MPW). Dr. Kloth’s current focus is to further develop NANS advocacy roles to ensure the society has a voice in the healthcare changes that will occur in the next few years and into the future.Dr. 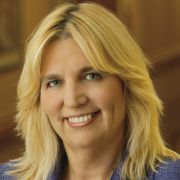 Kloth has been active in advocacy on both a state and federal level to try and bring effective change in a number of areas including malpractice reform, coverage for different types of interventional pain treatments, reimbursement related challenges, state and national policy, and prescription drug abuse. Dr. Kloth has worked with state and federal officials on ways to help address the national drug epidemic effecting America today. Through ASIPP, and more recently NANS, he has met with federal officials in Baltimore (CMS), Local Carrier Medical Directors (Medicare intermediaries), and Washington, D.C. (Federal Legislators), in an attempt to bring about change on issues effecting pain management in the United States. From 2009 until 2014, Dr. Kloth chaired the ASIPP and NANS Public Relations Committee to promote the field of interventional pain management and Neuromodulation and to specifically improve the public’s, media’s, insurance carriers, and government’s understanding of this evolving and complex field of medicine. He has been quoted on issues ranging from prescription drug abuse to healthcare reform in many major media outlets and has been seen on national TV and radio and quoted in various publications including the NYT, WSJ, and USA Today.Dr. Kloth has consulted as an expert for companies, attorneys, the government (state and federal) and has testified as a medicolegal expert in personal injury, malpractice, and criminal matters. He also has entrepreneurial interests and has developed businesses in other medical fields including compounding pharmacies and mobile medical radiology repair and trucking. 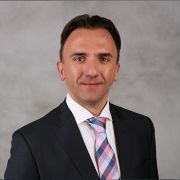 Dr. Nebojsa Nick Knezevic is the Vice Chairman for Research and Education at Department of Anesthesiology and Pain Management at Advocate Illinois Masonic Medical Center, and also an Associate Professor of Anesthesiology and Surgery at the College of Medicine, University of Illinois Chicago. Dr. Knezevic has extensive expertise in basic and clinical research, and he has published more than 90 highly-cited, peer-reviewed scientific articles. He also serves as a reviewer for many anesthesia and pain journals. Dr. Knezevic is the Section-Editor of the Pain Physician journal; Associate Editor of the BMC Anesthesiology and Assistant Editor of the Anesthesia & Analgesia journal. Dr. Knezevic is a designated member of the Advocate Healthcare IRB. He is serving as a Vice Chair of the ASA Abstract Review Subcommittee on Chronic and Cancer Pain, and served as Chair or Committee member for many national and international meetings, including NYSORA, AAPM, ASIPP, NWAC, MARC, etc. Dr. Knezevic has developed many research and educational anesthesia and pain programs for residents, fellows, and attending physicians. Dr. Knezevic manages multiple US and global clinical trials (phases I-IV) for the testing of different pain medications and innovative medical devices for acute and chronic pain. Dr. Knezevic is a recognized lecturer in many national and international conferences with multiple awards for outstanding academic achievements. 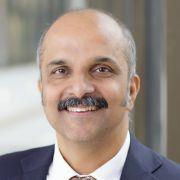 Dr. Nandan Lad is a neurosurgeon, scientist, innovator and Associate Professor of Neurosurgery at Duke University Medical Center with a focus in Neuromodulation. The Duke Neuromodulation Program was founded with the practice belief that the most effective method of improving patients’ conditions is through a multidisciplinary approach and non-surgical as well as surgical procedures. Dr. Lad provides a personalized, comprehensive and technologically advanced approach to the treatment of pain, movement disorders, and other challenging neurological disorders. His treatment goal is to minimize dependence on opioids, improve quality of life, improve function, and improve coping skills so that the patient may better adapt to their daily activities and get back to their normal daily function.